All information on this site is presented ‘as is’ and subject to change without notice. All reasonable attempts have been made to insure the accuracy of information. WingsOverHouston.com, and all related Wings Over Houston / Wings Over Houston Air Show domain names, are solely owned and operated by CAF Wings Over Houston, unless otherwise specified. This site is owned and maintained by the CAF Wings Over Houston Airshow. The appearance of advertising, sponsorship or links does not imply endorsement by the U.S. Air Force, Department of Defense or Federal Government. All Content (not including third party logos, coding, or photography, unless otherwise specified) is PROVIDED UNDER LICENSE by EVENT PROMOTION SYSTEMS, LLC to the CAF Wings Over Houston Airshow and subject to U.S. Trademark and Copyright law. We’ve put together a general map that illustrates what information we collect, how we store it and how we use it. Please email: privacy@WingsOverHouston.com for a copy of Data Map. How we collect and store information depends on the page you are visiting, the activities in which you elect to participate and the services provided. For example, you may be asked to provide information when you register for access to certain portions of our site or request certain features, such as newsletters (Air Show Insider) or when you make a purchase. You may provide information when you participate in sweepstakes and contests, message boards and chat rooms, and other interactive areas of our site. Like most Web sites, WingsOverHouston.com also collects information automatically and through the use of electronic tools that may be transparent to our visitors. For example, we may log the name of your Internet Service Provider or use cookie technology to recognize you and hold information from your visit. Among other things, the cookie may store your user name and password, sparing you from having to re-enter that information each time you visit, or may control the number of times you encounter a particular advertisement while visiting our site. Personally Identifiable Information collected by WingsOverHouston.com may also be used for other purposes, including but not limited to site administration, troubleshooting, processing of e-commerce transactions, administration of sweepstakes and contests, and other communications with you. Certain third parties who provide technical support for the operation of our site (our Web hosting service for example) may access such information. We will use your information only as permitted by law. We may also disclose your information in response to a court order, at other times when we believe we are reasonably required to do so by law, in connection with the collection of amounts you may owe to us, and/or to law enforcement authorities whenever we deem it appropriate or necessary. Please note we may not provide you with notice prior to disclosure in such cases. Most of the cookies we use are known as “session cookies”. They are deleted after the end of you visit. Other cookies (“persistent cookies”) are automatically deleted after a specified period, which may vary depending on the cookie. We use the “visitor action pixels” from Facebook Inc. (1 Hacker Way, Menlo Park, CA 94025, USA, or, if you are based in the EU, Facebook Ireland Ltd., 4 Grand Canal Square, Grand Canal Harbour, Dublin 2, Ireland (“Facebook”)) on our website. This allows user behavior to be tracked after they have been redirected to the provider’s website by clicking on a Facebook ad or by directly going to WingsOverHouston.com. This enables us to measure the effectiveness of Facebook ads for statistical and market research purposes. The data collected in this way is anonymous to us, i.e. we do not see the personal data of individual users. However, this data is stored and processed by Facebook, which is why we are informing you, based on our knowledge of the situation. Facebook may link this information to your Facebook account and also use it for its own promotional purposes, in accordance with Facebook’s Data Usage Policy https://www.facebook.com/about/privacy/. You can allow Facebook and its partners to place ads on and off Facebook. A cookie may also be stored on your computer for these purposes. Users can prevent cookies from being stored by adjusting the settings to their browser software accordingly. The legal basis for the use of this service is Art. 6 paragraph 1 sentence 1 letter f GDPR. Users can prevent the collection of data generated by cookies by downloading and installing the browser plug-in that is available at the following link: http://tools.google.com/dlpage/gaoptout?hl=en. On our website we use the marketing and remarketing services of Google LLC (1600 Amphitheatre Parkway, Mountain View, CA 94043, USA; “Google”). These services allow us to display advertisements in a more targeted manner in order to present advertisements of interest to users. Through remarketing ads and products are displayed to users relating to an interest established by activity on other websites within the Google Network. For these purposes, a code is used by Google when our website is accessed and what are referred to as (re)marketing tags are incorporated into the website. With their help, an individual cookie, i.e. a small file, is stored on the user’s device (comparable technologies may also be used instead of cookies). Cookies can be set by various domains, including google.com, doubleclick.net, invitemedia.com, admeld.com, googlesyndication.com or googleadservices.com. This file records which apps users have visited, which content they are interested in and which offers have been used. In addition, technical information about the browser and operating system, referring websites, the length of the visit as well as any additional data about the use of the online products and services are stored. The IP address of users is also recorded, although we would like inform you that within the framework of Google Analytics, IP addresses within Member States of the European Union or in other contracting states to the Agreement on the European Economic Area are truncated. All displayed ads are not displayed specifically for a person, but for the owner of the cookie. This information is collected by Google and transmitted to and stored by servers in the USA. Google is certified under the Privacy Shield Agreement and thus guarantees its compliance with European data protection legislation (https://www.privacyshield.gov/participant?id=a2zt000000001L5AAI&status=Active). Wings Over Houston sends email information updates (Air Show Insider) and commercial emails using the email service provider ConstantContact. Information including user first name, last name, and email address is stored on a secure server provided by ConstantContact. Email open rates are tracked by ConstantContact. WingsOverHouston.com expects its partners, advertisers and affiliates to respect the privacy of our users. Be aware, however, that third parties, including our partners, advertisers, affiliates and other content providers accessible through our site, may have their own privacy and data collection policies and practices. 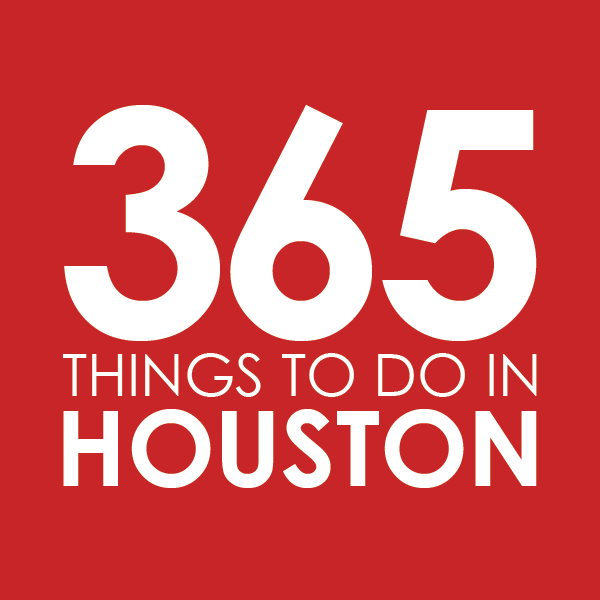 For example, during your visit to our site you may link to, or view as part of a frame on a WingsOverHouston.com page, certain content that is actually created or hosted by a third party. Also, through WingsOverHouston.com you may be introduced to, or be able to access, information, Web sites, features, contests or sweepstakes offered by other parties. WingsOverHouston.com is not responsible for the actions or policies of such third parties. You should check the applicable privacy policies of those third parties when providing information on a feature or page operated by a third party. You should also be aware that if you voluntarily disclose Personally Identifiable Information on message boards or in chat areas, that information can be viewed publicly and can be collected and used by third parties without our knowledge and may result in unsolicited messages from other individuals or third parties. Such activities are beyond the control of WingsOverHouston.com and this policy. WingsOverHouston.com reserves the right to change this policy at any time. Please check this page periodically for changes. Your continued use of our site following the posting of changes to these terms will mean you accept those changes. Information collected prior to the time any change is posted will be used according to the rules and laws that applied at the time the information was collected. WingsOverHouston.com has set forth a zero tolerance, No-SPAM Policy Notice on this website as well as its associated products, services, web pages, domains, sub-domains and add-on domains. The “SPAM” in email and marketing techniques referred to are those in relation to Internet and Information Marketing. We have a strict policy against using the SPAMMING of unsolicited emails in mass or individually of any kind as a way to market our programs, products and/or services. Should complaints be received in relation to SPAMMING activity that connects back to you, we reserve the right to suspend your account while we investigate all evidence submitted to us. Should you be deemed in violation of such policies, we reserve the right to immediately terminate any active accounts to your name, and all rights in association to these accounts shall be revoked. Our definition of SPAMMING include, but not limited to direct or indirect email transmissions to any email address that did not provide consent to receive information from you, advertisements in newsgroups, message boards, and forums that are unrelated in subject matter and/or have specific policies that disallow advertisements, as well as unsolicited messages on instant messenger programs and chat rooms. Organizations, groups or individuals, including but not limited to affiliates, promoters, or joint venture partners, are not exempt from this policy, even if it is to promote WingsOverHouston.com. Those found in violation of this No-SPAM policy will be held liable for damages, lost money and wages. Moreover, we will take any legal action necessary to protect our name and entity, including but not limited to notifying the FTC and the appropriate authorities. This license shall automatically terminate if you violate any of these restrictions and may be terminated by wingsoverhouston.com and related domains at any time. Upon terminating your viewing of these materials or upon the termination of this license, you must destroy any downloaded materials in your possession whether in electronic or printed format. The materials on wingsoverhouston.com and related domains are provided “as is”. and wingsoverhouston.com related domains makes no warranties, expressed or implied, and hereby disclaims and negates all other warranties, including without limitation, implied warranties or conditions of merchantability, fitness for a particular purpose, or non-infringement of intellectual property or other violation of rights. Further, wingsoverhouston.com and related domains does not warrant or make any representations concerning the accuracy, likely results, or reliability of the use of the materials on its Internet web site or otherwise relating to such materials or on any sites linked to this site. In no event shall wingsoverhouston.com and related domains or its suppliers be liable for any damages (including, without limitation, damages for loss of data or profit, or due to business interruption,) arising out of the use or inability to use the materials on wingsoverhouston.com and related domains, even if wingsoverhouston.com and related domains or a wingsoverhouston.com and related domains authorized representative has been notified orally or in writing of the possibility of such damage. Because some jurisdictions do not allow limitations on implied warranties, or limitations of liability for consequential or incidental damages, these limitations may not apply to you. The materials appearing on wingsoverhouston.com and related domains could include technical, typographical, or photographic errors. wingsoverhouston.com and related domains do not warrant that any of the materials on its web site are accurate, complete, or current. wingsoverhouston.com and related domains may make changes to the materials contained on its web site at any time without notice. wingsoverhouston.com and related domains do not, however, make any commitment to update the materials. wingsoverhouston.com and related domains has not reviewed all of the sites linked to its Internet web site and is not responsible for the contents of any such linked site. The inclusion of any link does not imply endorsement by wingsoverhouston.com and related domains of the site. Use of any such linked web site is at the user’s own risk. Any claim relating to wingsoverhouston.com and related domains shall be governed by the laws of the State of Texas without regard to its conflict of law provisions.